Ideal for touring, this bar offers two primary riding positions; the upper for hill climbing and urban exploration, and the lower for battling headwinds and cruising at speed. 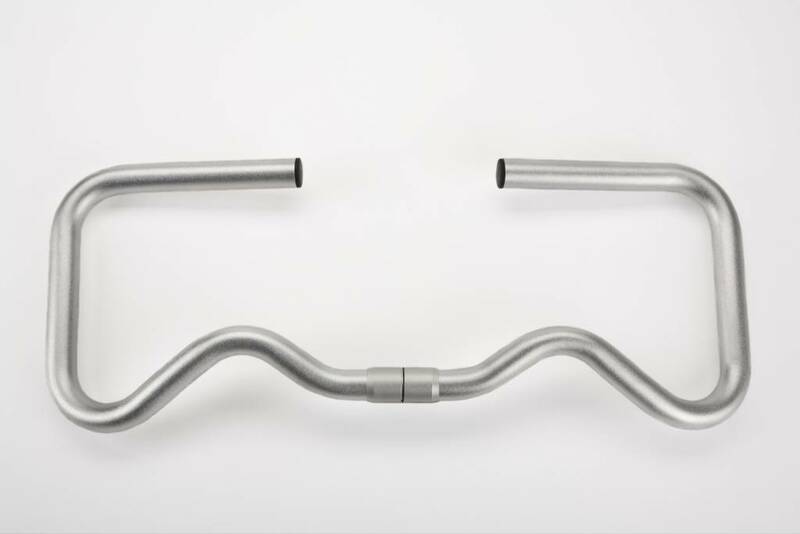 The upper grip is an inch higher than the M type and the lower grip is an inch lower than the S type, so you really get a wider range of handlebar heights. Any bike tourist will tell you that the more options for hand position the better when riding long distances. 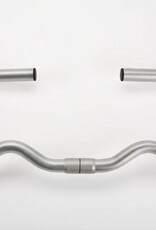 The P type is the best of the Brompton handlebarsto help reduce fatigue on wrists and arms.